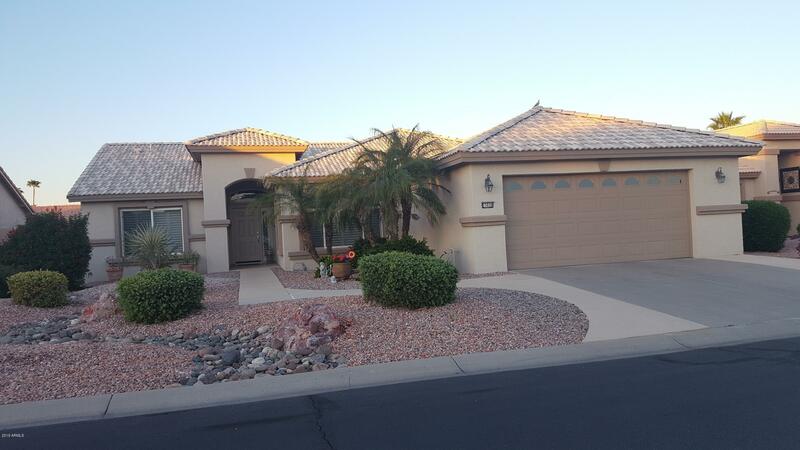 All PEBBLECREEK UNIT 19 homes currently listed for sale in Goodyear as of 04/26/2019 are shown below. You can change the search criteria at any time by pressing the 'Change Search' button below. 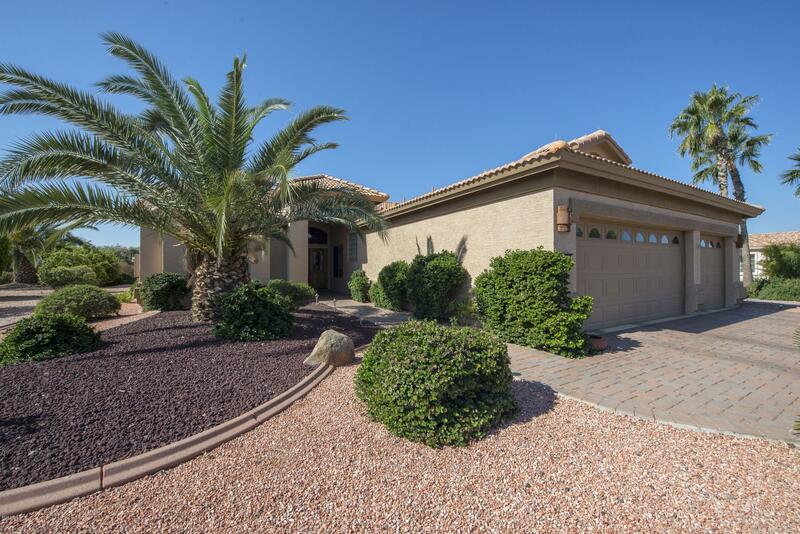 "Beautiful Expanded Galleria Model on premium lot with 2 bedrooms + Den + 2.5 bathrooms and 3 car garage. This extended Galleria model is open and features Solar tubes as well as plantation shutters and has been tastefully painted with warm neutral colors throughout the home. The master suite has plenty of room for sitting area and both master walk in closets have custom built-ins. The large backyard is an Oasis by itself with and extended covered patio plus pergola and built in BBQ. Enjoy "
"So you are looking for a PALMERA? Well, here I am! Beautiful 3+ bdrm home with the amenities of your dream home. Jack and Jill bathroom make family/friends feel right at home. Den has queen-size Murphy bed and now you have your 4th. bdrm. Carpet in #2 & 3 bdrms, plus Porcelain flooring through out rest of the home. Master Bdrm has walk in closet, ensuite with double sink, upgraded shower with seating and high and low shower heads. Additions/Extentions add to the open floor plan and include kitc"
"Priced to move. Clean home with split master. Spacious master bedroom with bay window bump out for added square footage and also has large master bath and walk in closet. 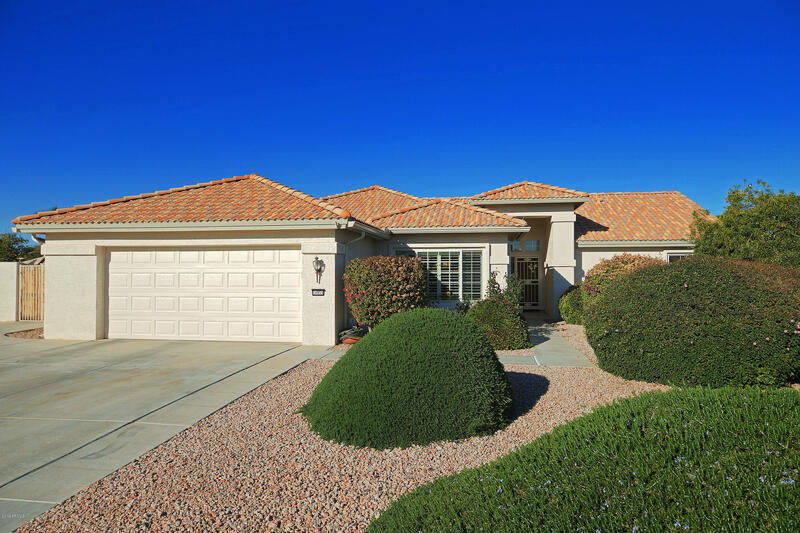 Popular open floor plan with great views of the spacious and pretty yard. Roomy laundry room with space for a craft center. The den can be multi functional and double as a 3rd sleeping room for guests. You also have an extended length garage for a golf cart or just storage. Low traveled street."